Good morning Quick Quotes readers! 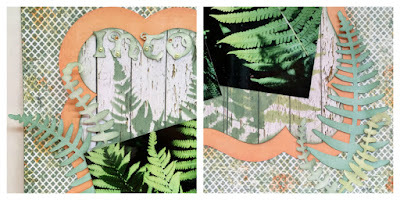 Alicia posting for you today with more stenciling and tags. 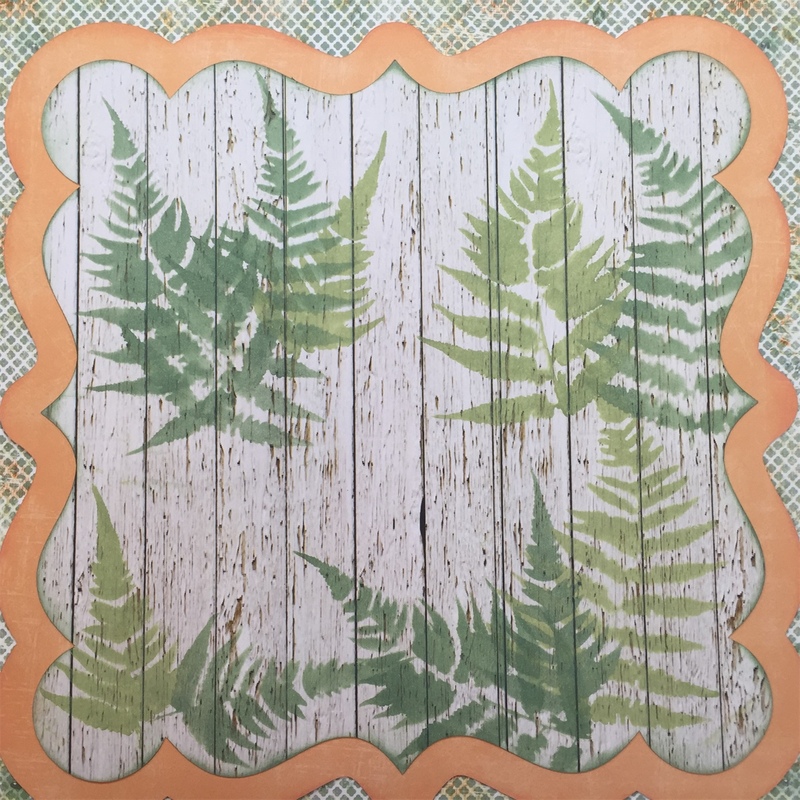 I have invested in several new stencils lately and I love using my PowderPuff Chalking Inks with them. I wanted to keep this layout earthy but with a pop of color. 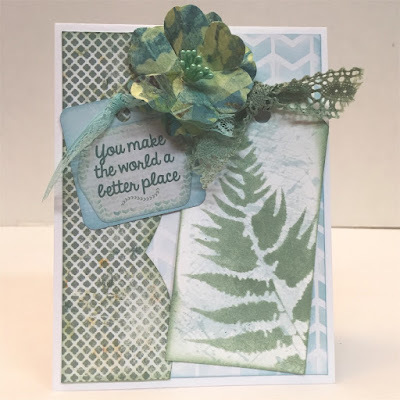 Perhaps I could have made the title with Anchors Aweigh 101 paper that I used in the mat for a bolder look, but I used white card stock and distressed it with some of the green PowderPuff Chalking Inks instead. I did add some peach pearls on the swirly ends. Here is the layout before pictures and embellishments. I began with a full sheet of Farmhouse 102 paper. 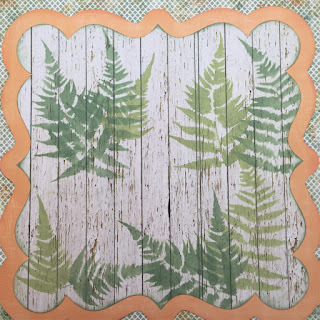 I cut two coordinating sheets into mats with my Cricut. I used my stencil, Seafoam PowderPuff Chalking Ink and Light Moss PowderPuff Chalking Ink in various areas of the Farmhouse 104 paper. 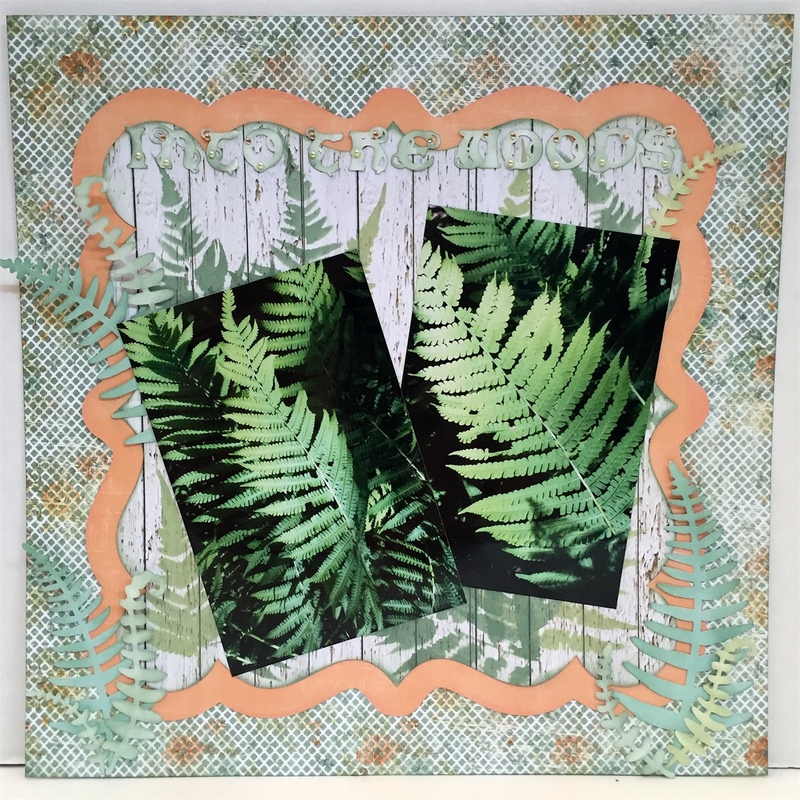 I used my Cricut again to cut some ferns and the title out of white paper. 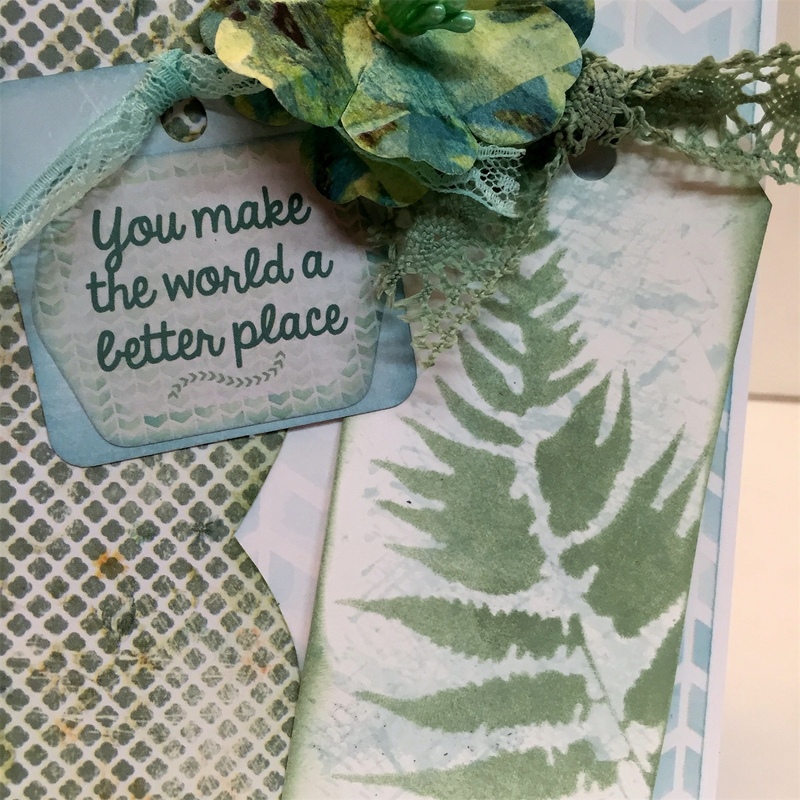 I then chalked them with the same green Quick Quotes Powderpuff chalking inks. I adhered the title, pics and the fern leaves. 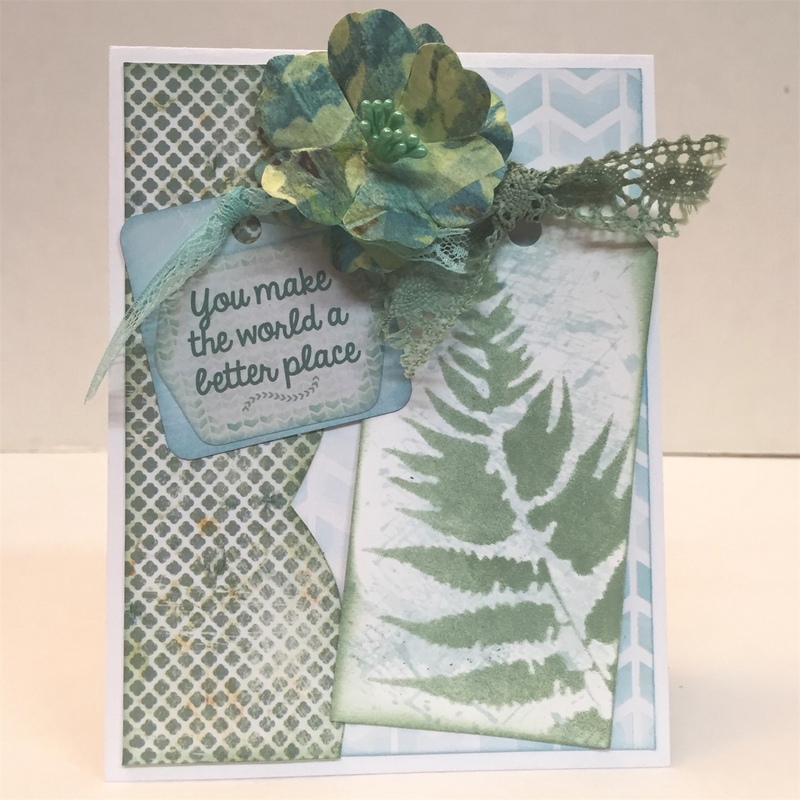 I loved this fern stencil with the PowderPuff Chalking Inks so much I made a tag, then used it on a pretty card.